If you own an office of any size in Church End, and you have to get it relocated to a new place in the area, we are glad to be able to offer you the most comprehensive office removal service in the area. 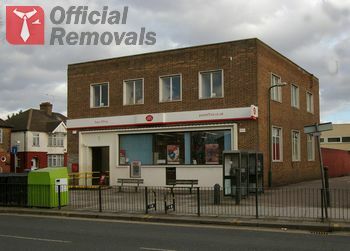 We are a company with traditions in carrying out office removals in Church End. We are well-known in the local business community as being the leading contractor in the field and you can trust our well-established reputation. When it comes to Church End office removals, no one does them better than us. First of all, we offer you a team of dedicated specialists with years of experience carrying out removal projects of any kind and size. They know every little trick and perk of the business and they are ready to invest all their knowledge in your project, in order to provide you with a stress- and hassle-free moving. All your items – furniture, decoration, equipment, and archives – will be handled with the greatest of care and they will be arranged at your new place exactly the way you want them to. Second, we maintain a fleet of modern vehicles of various sizes, so no matter how big or how small your project is, we have just the right van or truck for the task. All vehicles are resource-efficient and that considerably drops transportation costs down. Third, we approach each task we have been called for according to a special individual plan we have tailored specifically for it. When you contact us, we will discuss your project at length, and if you have any questions, concerns or specific requirements, we will take them into consideration, so that we are able to come up with the best solution to all your potential needs and problems. We have insured our office removal services in Church End, NW10, for a myriad of reasons. For one, we want our clients to have the peace of mind that they have delegated their relocations to reliable and attentive professionals. The second reason is that we are contractors that value perfection and precision, and therefore never leave anything at chance. In fact, we always double check everything and carry out a final inspection just to make sure that nothing has been forgotten, lost or damaged. Our customer service telephone line is open 24/7 on the numbers provided, and our specialists will also answer your questions online via e-mail or our online contact form. Do not hesitate to call us immediately after you have learned you will have to move your office. We are always here for you and your business. We are based in the district of Church End, NW10, in the northwestern parts of the London. The area lies in the Borough of Brent and is home to one of the largest Afro-Caribbean communities in the English capital. The district is served by several bus routes, which pass through it frequently while the nearest tube and railway stations are located in the neighbouring areas.